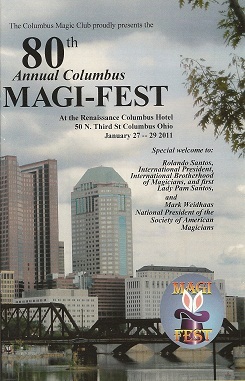 Here are some of the photos taken at the 80th Annual Magi-Fest. 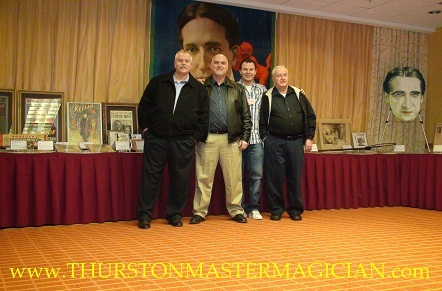 Shown below and on the next few pages are some photos of the Thurston display and some friends. 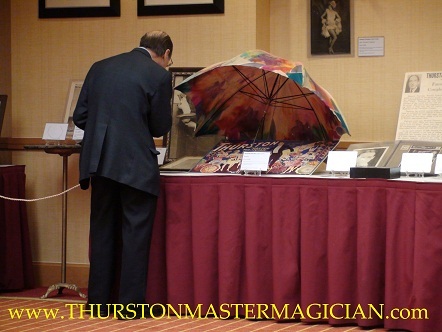 The Thurston display consisted of approximately 150 pieces from the collection, which features over 18,000 items in total. 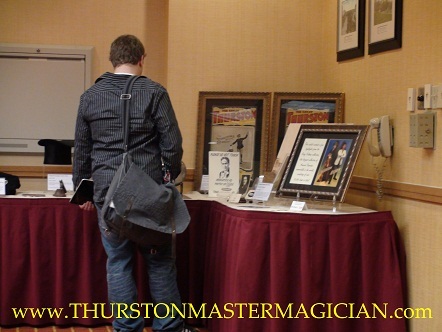 Thanks to everyone for their support, kind words, and for making this convention absolutely wonderful! 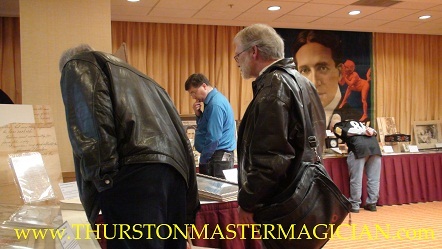 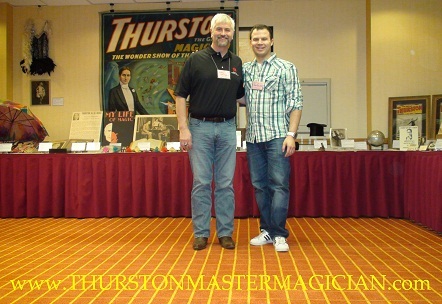 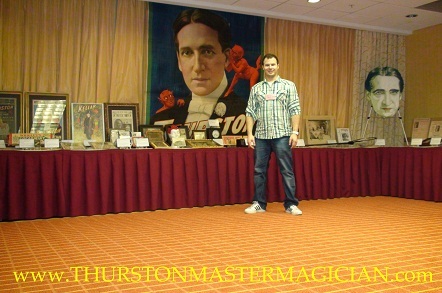 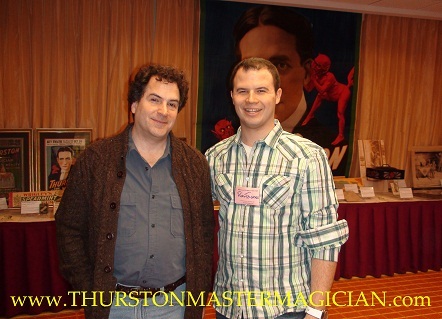 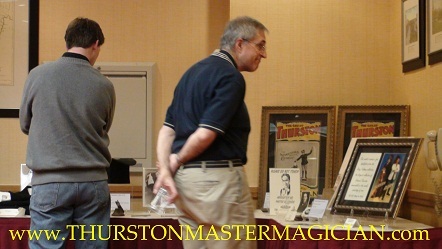 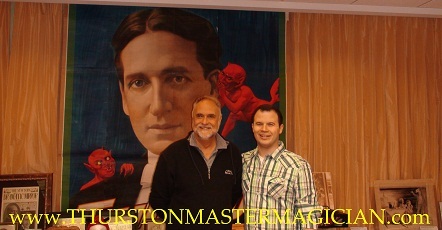 Thanks to James Hamilton for making it possible to get the Howard Thurston display to Columbus, Ohio! 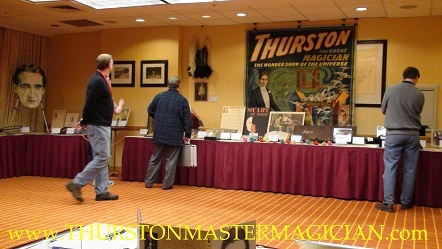 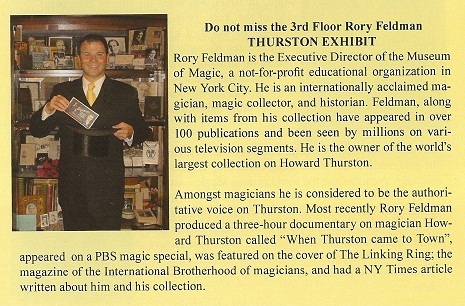 Rory Feldman stands in the middle of his Thurston Exhibit. 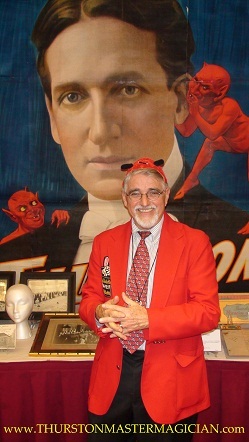 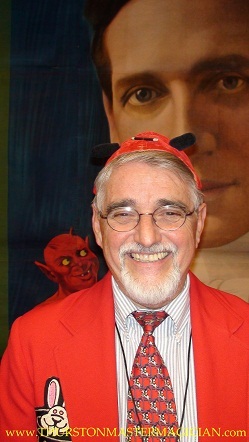 Jep Hostetler, the red coat has a new red hat! 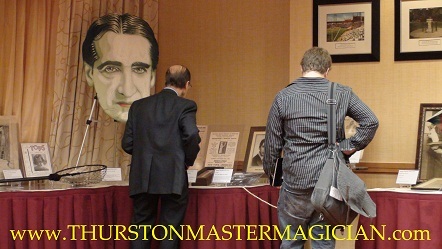 Thomas M. Thurston, William H. Thurston, Rory Feldman, and William C. Thurston. 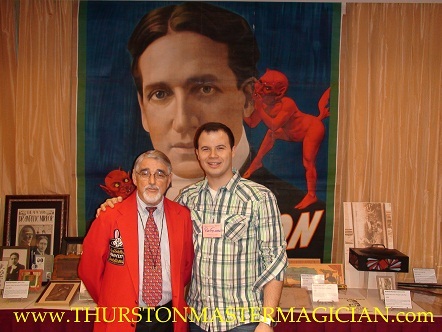 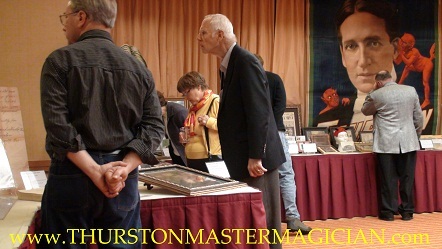 William is the grandson of Charles Thurston; Howard Thurston's brother.